Select your soundcard by clicking the right arrow > next to interface. 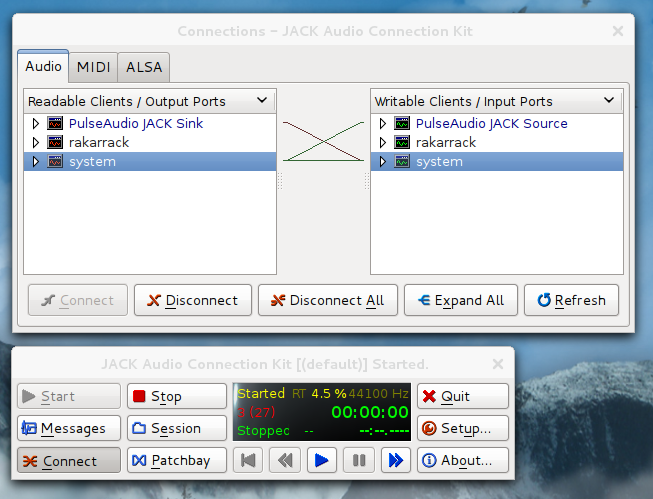 qjackctl, system-out connected to system-in allows monitoring input. Click Okay. 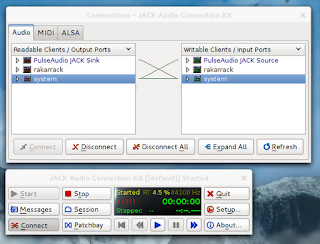 Now any time you want to use pass-through, start qjackctl, open 'Connect' and drag the 'system' item from the 'output ports' tray to the 'input ports' tray. Thanks to the PulseOnJack walkthrough which made me realise this could all be done through qjackctl.